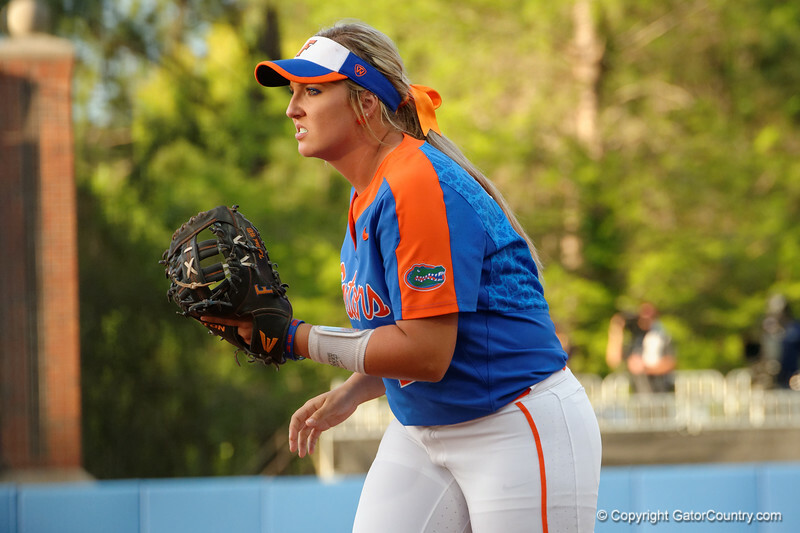 Universiy of Florida Gators softball first baseman Kayli Kvistad gets set at first base for a pitch as the #3 ranked Gators defeat the #1 Florida State Seminoles 1-0 at Katie Seashole Pressly Softball Stadium in Gainesville, Florida. April 12th, 2017. Gator Country photo by David Bowie.